Belarus had third by volume part of automotive industry of the Soviet Union with near 40,000 annual production. Since that times Belarus specializes on production of own designed superheavy, heavy and middle trucks mainly plus post-Soviet developed buses, trolleybuses and trams. Auto manufacturers in Belarus include MAZ, BelAZ and Neman. BelAZ is a Belarusian manufacturer of haulage and earthmoving equipment based in Zhodzina. The factory opened its door in 1948 and has produced over 120,000 vehicles for use in the Soviet Union. BELAZ is a site for one of the largest Commonwealth of Independent States investment project. The factory finalized two of the three scheduled phases of the technical re-equipment and upgrades. The Quality Management System applied in research and development, fabrication, erection and after-sale service of the equipment complies with international ISO 9000 standards. In 1948, a peat extraction machinery plant was constructed by the railroad station Žodzina. In 1951 the plant was expanded into the plant of road construction and land improvement machinery and renamed into "Dormash" (Дормаш), an abbreviation for "дорожное машиностроение", "road construction machinery building". In 1958 it was renamed into BelAZ. Initially it produced MAZ trucks. In 1961 the first 27-tonne BelAZ pit and quarry dump truck was manufactured. In 1990 a 280-tonne truck was manufactured. In 2001 the director of BelAZ plant, Pavel Maryev, was awarded the order Hero of Belarus. In 2005 plans were revealed for production of BelAZ-75600 with 320 tonne (352,600 kg, or 352.6 tons) capacity, ordered by Kuzbass mining. In 2006 the independent Mogilev Automobile Plant (MoAZ) was merged into BelAZ. In fall of 2006 the first delivery of BelAZ-75600. In April 2012, BelAZ announced it would hold an IPO – the first in Belarus. In September 2013, BelAZ presented the first sample of mining dump truck BelAZ-75710, the world largest dump truck with 450 tons load capacity. Minsk Automobile Plant or MAZ is a state-run automotive manufacturer association in Belarus, one of the largest in Eastern Europe. It manufactures heavy-duty trucks, buses, trolleybuses, road tractors and semi-trailers for semi-trailer trucks, and cranes. MAZ was, and possibly is, the world's largest manufacturer of TELs (Transporter-Erector-Launchers) for many of the world's mobile ballistic missiles, from the widely proliferated MAZ-543 used to carry and launch the Scud B through to the recent Topol M's impressive 8-axle TEL. In 1997, together with "MAN", a joint Belarusian-German company JSC "MAZ-MAN", Minsk was set up, which by 1998 had established full-scale production of heavy vehicles, using the F90 MAN cabs introduced 1986 and replaced 1994. Production of truck cabs involves huge, expensive tools, making this kind of recycling an existing design attractive. While production of tractors for international trade with 4x2 and 6x4 chassis layouts was a stated goal, development of exhaust gas regulations within the EU turned this into illusion. Based on the MAZ-MAN they have produced concrete mixers, fueling vehicles, flatbed trucks, dump trucks, front-end loaders etc. MOAZ-6014 Scraper in Togliatti Technical museum. MoAZ or Mogilev Automobile Plant is an automotive and earth-moving equipment manufacturer in the city of Mogilev, Belarus. MoAZ is a subsidiary of BelAZ since 2006. In 1958 MoAZ was named in honor of Sergey Kirov, a prominent early Bolshevik leader in the Soviet Union. The company was founded in 1935 as Workshop. In 1941 the plant was evacuated to Kuibyshev, where he mastered the production of engines for the attack aircraft IL-2. After World War II the plant was returned to Mogilev and produced locomotives, steam-powered machinery, overhead cranes and oil trucks on chassis GAZ-51. In 1958 the factory conveyor technology named S. Kirov Mintyazhmasha USSR in Mogilev was transferred to the production of single-axle tractor MAZ-529, developed at the Minsk Automobile Plant. In 1960 MoAZ and Minsk Automobile Plant was transferred a group of designers, which became the basis of the technical services of the plant. Since that time MoAZ became one of the largest manufacturers of earth-moving equipment in the USSR. In 2006 the factory became a branch of JSC "BelAZ". Since 2012 - the branch of "BelAZ" - managing company "BelAZ-Holding". The company mainly works on exports - more than 85% of production going to CIS member states. MZKT (Minsk Wheel Tractor Plant (MWTP)) is a manufacturer of heavy off-road vehicles, especially military trucks, based in Minsk, in Belarus; it was formerly a division of MAZ. MZKT civilian trucks are branded VOLAT. MZKT specializes in the production of road and off-road heavy-duty vehicles and trailers to them, as well as special wheeled chassis for installation of various equipment for enterprises and transport organizations of the construction, oil and gas and engineering complex. In 1954, MZKT, the Minsk Wheeled Tractor Plant, was founded to develop artillery tractors; it then developed a series of heavy weapons transporters for the military of the USSR, including heavy offroad trucks such as the MAZ-537 and MAZ-7310. It was a division of Minsk Automobile Plant (known as MAZ). 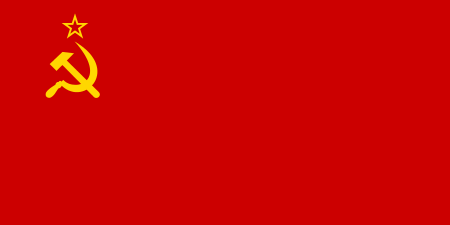 The name in Russian is "Минский завод колёсных тягачей"; this is abbreviated MZKT in English. In 1991, MZKT was spun off into a separate company; its former parent, MAZ, continues to make a broader range of heavy vehicles. In 1992, military orders slowed, and MZKT attempted to adapt its products to civilian uses, such as mining trucks and crane carriers. Lida Buses Neman is a state-owned bus manufacturer located in Lida, Belarus. The company was founded in May 1984 by the Ministry of Radio Industry of the Soviet Union to produce industrial equipment (assembly and testing machinery) for its parent Association Agat. In 1988, the plant was designated as pilot plant to manufacture prototypes. After the dissolution of the Soviet Union, the plant reoriented itself to produce household items (gas burners, electric motors, fans). Since the factory still had unused capacity, it entered into agreement with the Likino Bus Factory (LiAZ) to produce LiAZ-5256 buses. 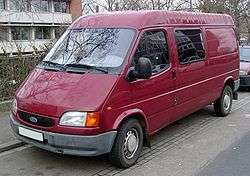 It produced its first bus in 1994. It also produced fire trucks AC-40, buses PAZ-3205, vans GAZelle. In 1998, the company began to produce its own original Neman buses. In June 2011, the company produced its 1000th bus. The Ford Union is a former joint venture of the Ford Motor Company, the Russian Lada importer Lada-OMC and the Belarusian government. It was located in Abchak near the city of Minsk in Belarus. Ford has invested a capital of US$10.000.000 for building this plant. So it was the most expensive plant of the Ford concern in Western Europe at this time. The company existed from 1997 up to 2000 when it was closed due to low sales. The Ford Union was not a manufacturer, it was only an assembler of SKD kits. The vehicles assembled by the Belarusian plant can be identified by the manufacturer code Y4F on the start on the VIN and an R on the eleventh position for the plant identification. The plant become well-known on 23 July 1997 as president Alexander Grigoryevich Lukashenko was invited to a press conference with five strategically selected foreign journalists to discuss a predicted failure which later proved true. ↑ Два новых карьерных самосвала "БелАЗ-75600" грузоподъемностью 320 т. (in Russian). 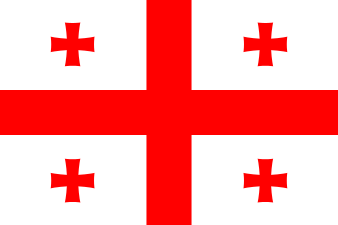 2006-09-11. Retrieved 2009-03-20. ↑ "BelAZ Truck to hold first Belarusian IPO". Steelguru. Retrieved 14 April 2012. 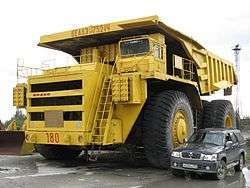 ↑ "BELAZ produced the world's largest dump truck with 450 tons load capacity". Land of Ancestors. 2013. Retrieved 30 September 2013. ↑ "Go-anywhere, do-anything MZKT/VOLAT specialist trucks on Biglorryblog. Magnificent monster machines from Minsk! - Biglorryblog". 22 March 2009. Retrieved 29 August 2012. ↑ "VOLAT - Minsk Wheel Tractor Plant". Retrieved 14 August 2011. ↑ "Minsk Wheeled Tractor Plant (MZKT)". Retrieved 14 August 2011. 1 2 Краткая история ОАО"Лидские автобусы"Неман"
↑ "Hell on wheels? (Ford opening assembly plant in Belarus)(Brief Article) – The Economist (US)". encyclopedia.com. Retrieved 27 July 2010. ↑ "Ford To Halt Assembly In Belarus July Due To Low Demand". findarticles.com. 2 June 2000. Retrieved 27 July 2010. ↑ Russel R. Miller (1998). Selling to newly emerging markets. ISBN 1-56720-044-3 page 192. Retrieved 28 July 2010. ↑ "Ford Club Belarus • Просмотр темы – vin КОД". Forum.fordclub.org. Retrieved 29 July 2010. ↑ "VIN: FORD (europe)". CARInfo. Retrieved 29 July 2010.